The numbers are in, and we're looking at another outstanding flight of ducks through the country this fall. 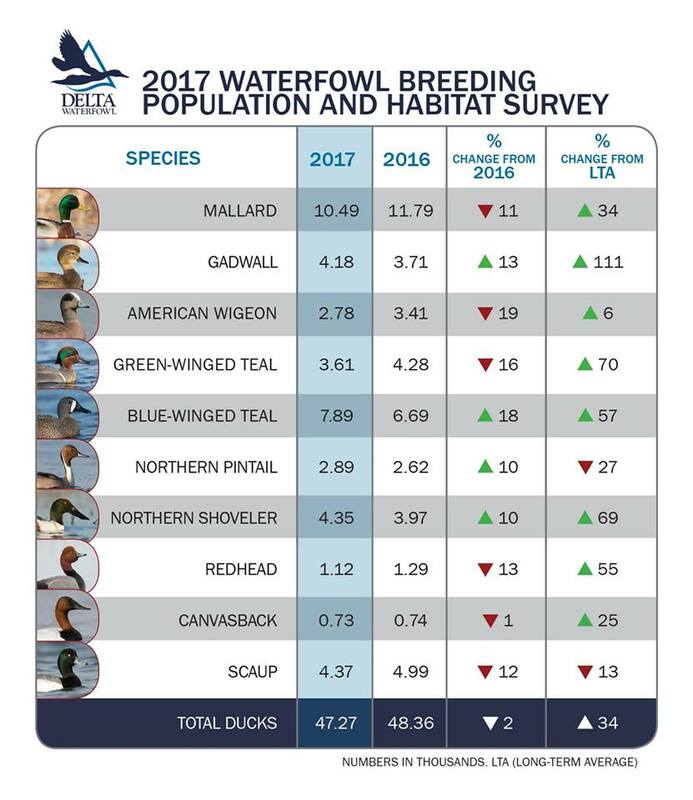 While mallards are off over 10% from last year, they're still 34% over their long-term average. 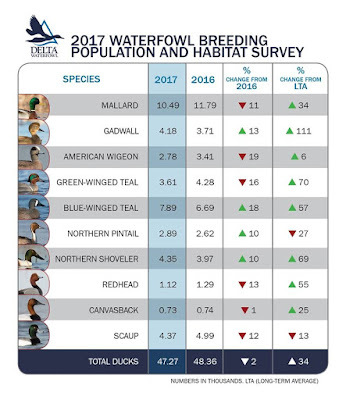 They're offset by big increases in Blue Winged Teal and Gadwall. Hopefully, the weather cooperates and we don't get that early cold front that pushes all of the teal out of the state like we usually do. Looks like a good year - fingers crossed.